intro: Slow days of summer? Not in tech. While New York City lit up its phone booths with WiFi, Yahoo Voice users scrambled to change their passwords, and Uber was offering ice cream trucks on demand, a number of gadgets were also being released. For all those who dreamed of the day the Furby would be unleashed again, your wishes are now a reality. The powers that be have decided to reboot that creepy '90s throwback. 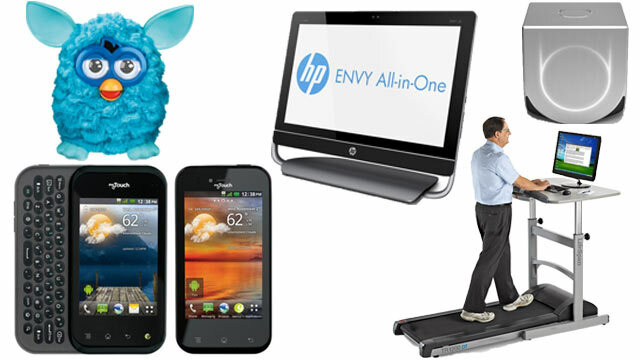 This week also heralds the debut of a couple new Android phones from T-Mobile, new all-in-one PCs from HP, a treadmill desk, and a video game console that's taken the Internet by storm.